Today, I found a very interesting thing. 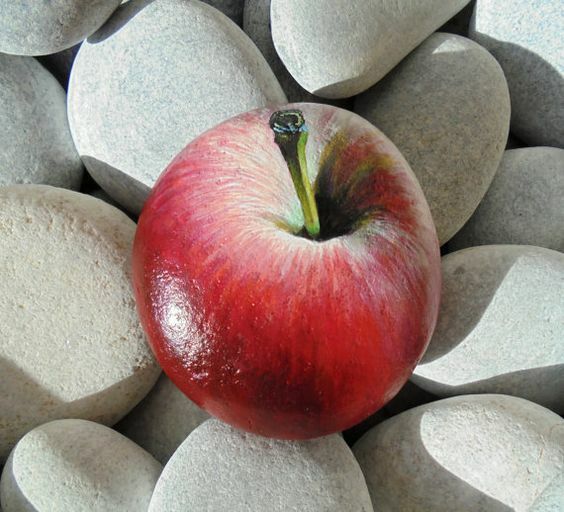 A scrumptious, red and ripe apple waiting for me to eat. We all know the saying, “an apple a day keeps the doctor away”. As I picked it up, it accidentally fell to the ground. Usually, fruits bruise and break when mishandled. This apple proved to be quite the magical fruit. It was perfectly intact and looked as delicious as ever. No wonder it is also known as the “forbidden fruit”. Would you take a bite out of this apple? Or is it really an apple? Leave your guess in the comments below. Next Throwback Thursday : Where’s Waldo – VR Edition! Hmmm – the “stem” clearly is not a stem, and the shadows aren’t consistent with just one light shining. after that, I don’t know. I think it is a rock.